Being able to get a better job is often something that you might talk about, as it can be a way to be more fulfilled, as well as earn more for your time. If you can get paid more for being out of the house every day, then it makes sense to do so, right? But simply getting a better job can be easier said than done. You need to know the area that you want to work in for starters, as well as what training or qualifications that you might have to have. Getting a better job can be a long process, especially if you want to go into an area where you have very little experience. But it could be a wonderful thing for you to do to change your overall prospects, get you on the way to doing something that you love, and improve your financial situation. So with all of that in mind, here are a few ideas to help you to get a better job, whether that be through more education, acing the interview, or simply making a great application. It would be great to hear what you think. Resumes on the whole can be pretty dull and uninteresting. If employers didn’t ask to see one as part of the application process, then they are something that we just wouldn’t need to bother with. But as many do ask for them as part of the application process, they are needed in this day and age. But being able to make yours stand out from the standard documents that you might see, is really important. Employers will see so many at a time, so if you are able to make one that stands out a little, then it will make such a difference; you want to grab their attention in a good way. Having a compelling resume isn’t like reinventing the wheel, but having some creativity in how you put it together can be a good idea. You could make the resume more of an infographic perhaps, or even make a digital resume. 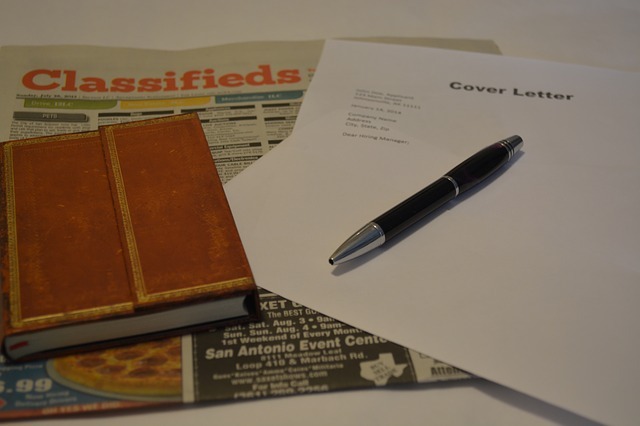 A little more effort than the rest will help to make your page stand out and stop yours from being put on the generic pile, hopefully meaning that you’ll be more likely to be chosen for interview. There is no getting away from the fact that some jobs do have specific criteria that you need to work towards; there will be specific experience or qualifications that are required. But if you have an end-goal of doing this job in the long-term, then getting yourself back to school and back to training can be just what you need. There are qualifications that you can do around your current job, such as an online criminology degree from Wilfrid Laurier, for instance. You could also attend night school, day courses for specific subjects, or go back to school full-time to get trained in something sooner rather than later. Getting yourself educated is always going to be a good thing, so make sure that you are doing just that, if your dream role requires it. Sometimes that job that you do is just as important as who you do that job for or the environment that you work in. So if you’re not too sure what specific role that you are looking for in a new job, then how about looking for a great company to work for? Large companies will be established with what they can offer you, such as pensions, training, and the opportunity to work your way up the business. So sometimes looking for a role within a company like this can be a good place to start, as it can mean you have more options for later down the line. You can learn about different companies online on sites like GlassDoor, as well as recommendations from friends. Then you can hone your job search to what that specific company is offering. If you don’t have too much work experience or don’t have experience as such in the role that you are applying for, it is such a good idea to make the experience that you do have (even if you feel it is irrelevant), and make it relevant to your role. Often there can be some relatable experiences that you can share, as well as taking about skills that are transferable. For example, if you have been a stay at home parent for a number of years and are getting back into work, then you could share some experiences that can be relevant for other roles. For instance, you have shown that you can work to a specific budget and meet deadlines on things. You have been learning how to multitask and so on. These things may seem irrelevant when it comes to a job interview. But actually, they can be tailored to the job that you are applying for to show that you have some ‘real world’ experience of what you are applying to do. If you are someone that doesn’t do well in an interview situation, then it could be the things that stops you from getting the career that you want. If you stumble in an interview or forget things to say, no matter how qualified you are, then it is unlikely that you’ll get the role, as they may want someone that is better able to communicate, for example. So being able to practice an interview situation ahead of time is a really good idea. It can help you to be better prepared for what is coming, as well as have some answers prepared for some of the common interview questions. There will be questions asking you what your greatest achievement is or questions asking you what you think your weaknesses are. Sometimes interviewers will ask things like describing yourself in three words, but being prepared ahead of time will help you to have three stellar words that can really show off that you’d be a good candidate for the role. You are bound to know someone that has held an interview for an employee before or someone that does this regularly. So ask them for some advice, and then if possible, to role play out an interview situation, to make sure that you can calm your nerves and have the answers ready. It is a simple thing but can make all of the difference. If you have a new job to go to and haven’t enjoyed your old job at all, then it can be tempting to let everyone know that you have hated it. But it can be a bad career move to do so. Leaving your current company on good terms is a good idea, simply because you may need their help for things down the line like references, or may need help from a co-worker for something else, both professional or personal. As much as you may have not liked what you’ve been doing up until now, burning bridges is never going to be a good idea. These are just a few small things that can help you to get your career off to a better start and help you to progress both personally and financially. Have a think about what you want to be doing, and then you can make a plan to help to get yourself there. Thanks for sharing! It’s good to be smart at your job, and it will often help you go a much longer way towards impacting your career prospects.